With the end of the Geocaching Classic app fast approaching (it’s due to be retired on March 23rd), the question of which app is the best option for iOS users is a hot topic right now. I reviewed the Cachly app in April 2016, but since, then there have been lots of improvements made to this already great app. At the same time, the Geocaching® App has been built upon by Groundspeak, with some much needed features added. Cachly was launched in December 2015 as a response to developer Nic Hubbard’s disappointment with the capabilities of geocaching apps available to iOS users. In May 2016, Groundspeak announced the renaming of the Geocaching Intro App to the Geocaching® App, and their intention to retire the Geocaching Classic app in September 2016. 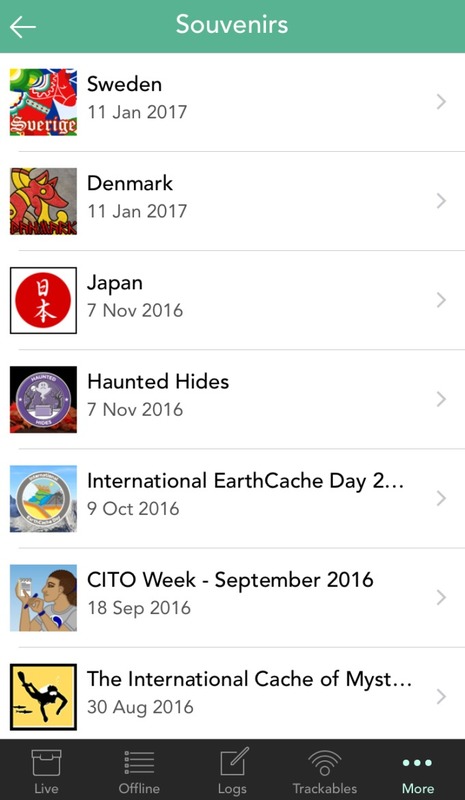 This date was pushed out to bring more much-wanted features in to the Geocaching® App but the definite end date for Geocaching Classic is now just around the corner. To help you decide which app is for you, I have put together a comparison of features. It’s up to you determine which interface appeals more and what functions you absolutely must have, or even just quite like having while you’re caching! A simple comparison here: Cachly costs $4.99/£4.99/€4.99 to buy at the App Store while the Geocaching® App is free. However, both apps have specific limitations for basic users, so for optimal use, a premium membership to geocaching.com is required. I know cost is a factor for some people to consider, so I wanted to mention it but not dwell on it, because I think when you see the pros and cons of both apps, you can make an informed decision based on your needs. If you’re going to use Cachly every week, five dollars/pounds/Euros is not really a big deal. Conclusion: On the premise that free is better than not free, the Geocaching® App edges it here. 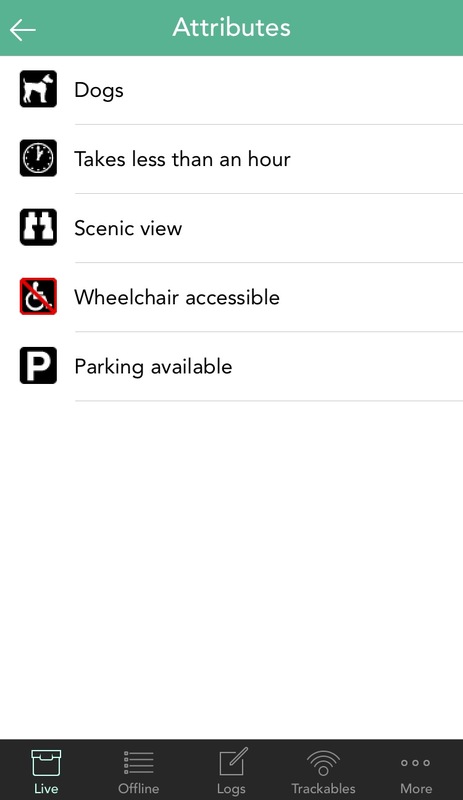 It felt like a long time coming but the Geocaching® App finally has offline mapping capabilities. This was the major issue that users talked about repeatedly, and actually prevented most people from switching from the Geocaching Classic app. Of course, Cachly had this function almost from day dot and the app also gives you the option to download ‘lite’, more basic data, as well as choosing not to download all cache images, saving on time if you’re in a hurry and also on space, which is very useful if your phone storage is chockablock. Cachly also gives you the option to download vector maps to get an entire state or country map saved on your device. 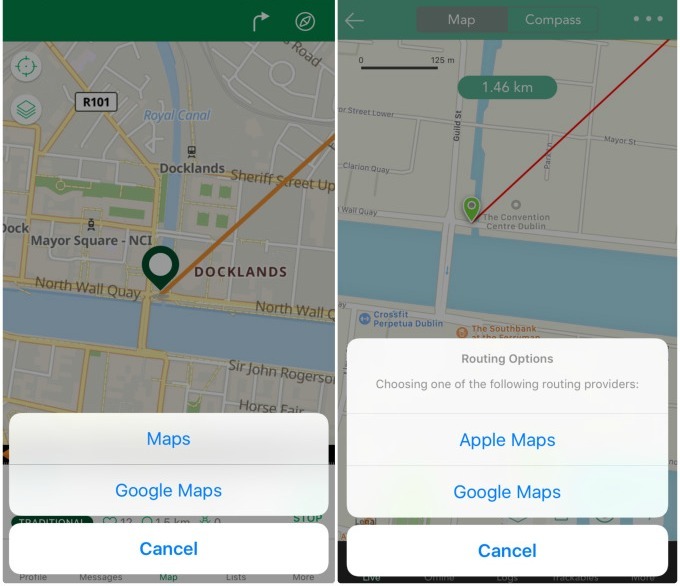 Both apps have the ability to start navigating to the cache using various mapping apps like Apple Maps, Google Maps and Waze, though Cachly is compatible with many more mapping apps. This very nifty feature is intuitive to use in both. I absolutely love this function and use it all the time! Cachly has a translate function which links to Google Translate from within the cache description, hint and logs. This means less time spent before a trip copying and pasting cache descriptions, hints and logs. It really is an invaluable feature if you’re planning to cache somewhere outside your native language zone. The Geocaching® App does not currently offer translations. Both apps have the ability to sort by specific criteria, however Cachly can sort by thirteen different parameters, while the Geocaching® App only has three. With both apps you can sort by distance, favourite points and geocache name. Cachly gives the additional options to sort by cache type, container size, placed date, last found date, difficulty rating, found date, GC code, whether it’s a premium member cache or not, terrain rating and trackable count. With Cachly, you can view all your souvenirs earned; the Geocaching® App does not currently have this functionality. This was one feature of the new Geocaching® App that users were overwhelmingly positive about. It’s similar to a messenger app like Facebook messenger and a lot easier to navigate around on your phone, compared to the alternative of using a browser. Cachly does not have currently have a message centre feature on the app (it’s not a feature that Groundspeak have extended to third parties to use). 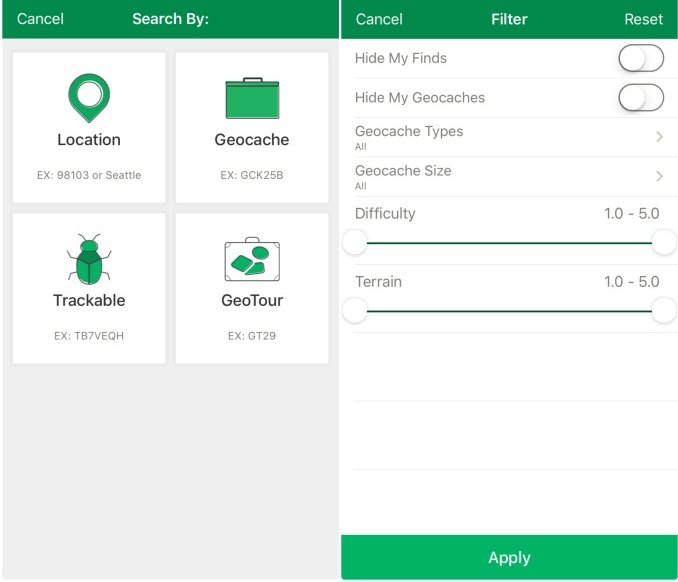 The Geocaching® App will allow you to search by location, GC code, trackable code or GeoTour and also gives you the capability to filter by my finds, my geocaches, cache types, container size, as well as every possible difficulty and terrain combination. Cachly has all of the above search options, excluding a search by GeoTour. However, it has the function to filter out inactive, archived, premium and ignored caches. It also allows you to filter to caches where you have corrected the coordinates. If you are logging using your phone and want to upload images, the Geocaching® App restricts you to one image per log, so you’ll have to go the website to upload additional images. Cachly allows you to upload multiple images with your log. Something arguably quite trivial but very well-liked is the blue frowning face on the Cachly app, denoting a DNF. It is very handy to see at a glance which caches you have tried and failed to find on a previous occasion, particularly if you’re geocaching in an area you are not regularly in. 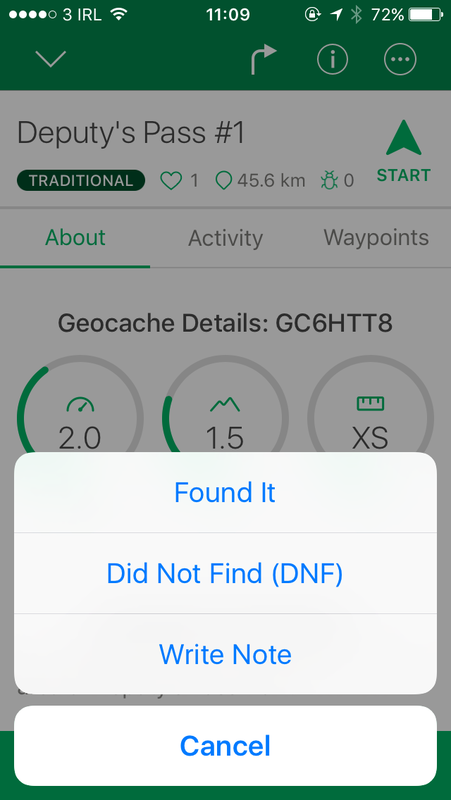 The map on the Geocaching® App doesn’t currently differentiate between caches you’ve previously DNFed, and caches you have not yet looked for. Both apps show all your saved bookmark lists and both allow you to easily download an entire list for offline use. You can also add caches to any of your bookmark lists from within both apps. Cachly has quite a number of map options to choose from, so you’ll really be spoiled for choice! The app has Apple Maps, Google Maps, OS maps, Open Maps, Thunderforest and ArcGIS. With the Geocaching® App, you can get Apple Maps and trail maps, which are the maps available offline. Since Cachly is an official live API Partner of Groundspeak, there are limitations to what basic members can access via the app. Viewing of full geocache details is limited to just three caches per day. Searches are limited to traditional and event caches only, however, basic members can view other cache types provided they have the GC code, although there is still a limit to three a day. The Geocaching® App also restricts basic members in relation to cache types, as well as DT ratings, and there is no enhanced filtering or searching which the Cachly app still allows for basic members. 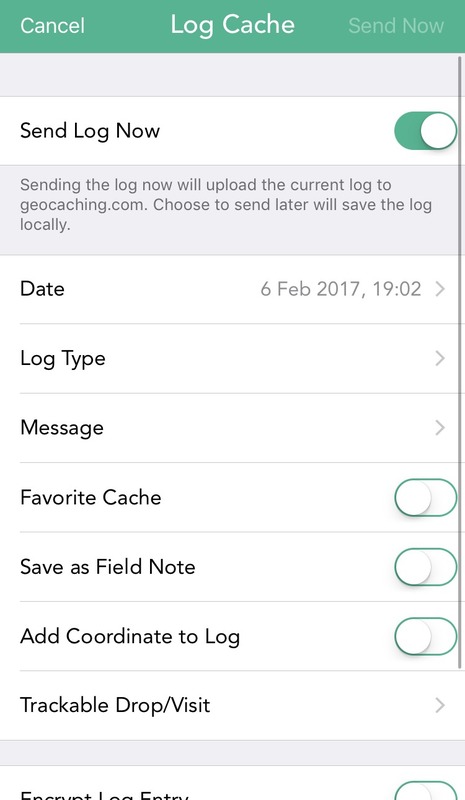 The Geocaching® App will only save a log as pending if it can’t connect to the internet; otherwise, it will send immediately and without an option to log your trackables as ‘visited’ or to change the date you found the cache. The app allows you to log a find, DNF or to write a note. Cachly, on the other hand, gives you the option to change the find date and to save the log locally to send later on. You can also drop/visit trackables when sending your logs, as well as encrypt your log, should you wish. With Cachly, you can log needs maintenance or needs archived; something the Geocaching® App doesn’t currently offer. Both apps give you the option to add a favourite point as you’re logging. Cachly gives you the option to save a log template which will automatically appear when you go to log a cache. This is a nice way of appending a ‘signature’ of sorts to each log that you write. Additionally, you can insert keywords like the cache name or the time you’re logging at automatically while you’re logging. The Geocaching® App does not currently have this functionality. Pocket Queries (PQs) can be accessed via both apps: Cachly shows them under a separate menu in the ‘more’ section, while the Geocaching® App combines PQs with bookmark lists under the ‘lists’ tab. Cachly has the capability to import GPX files from iTunes, Dropbox or email. This is a great feature if you’re at an event with as yet unpublished caches and you’re not using a GPSr. The GPX file can be emailed to you and you can import it to Cachly! The Geocaching® App does not currently support this. Cachly lists all attributes for each cache, while the Geocaching® App doesn’t have this functionality at present. 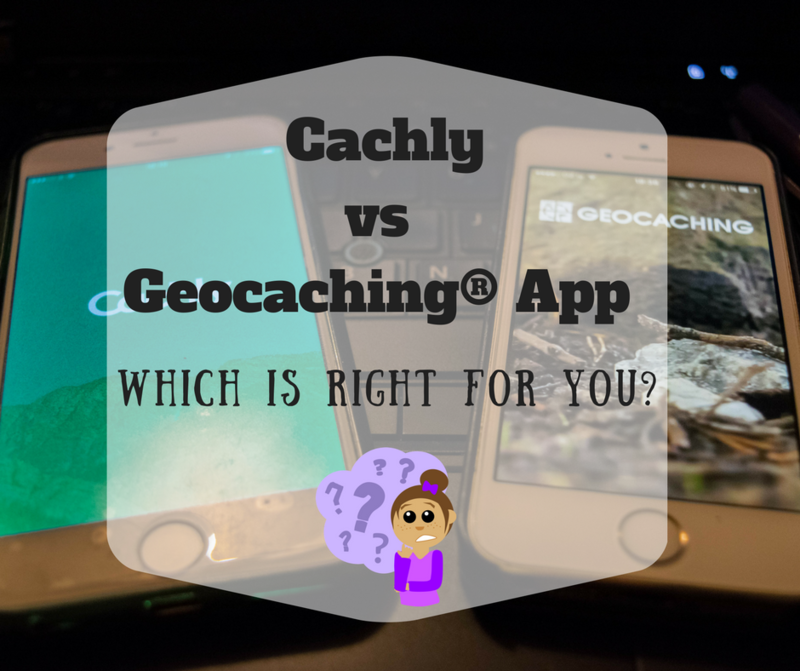 When Cachly and the Geocaching App are considered side-by-side, it’s easy to see how far ahead Cachly is in terms of what you can do with the app. There are features to both apps that I really like: having the Message Centre in mobile format is a big plus for the Geocaching® App, but Cachly‘s more extensive functions are very attractive. For now, I use both apps for various things and this seems to work for me. What app do you use? What features are the most important to you? Let me know in the comments! *I have not received compensation from any app developer for this review. All views are my own and impartial. 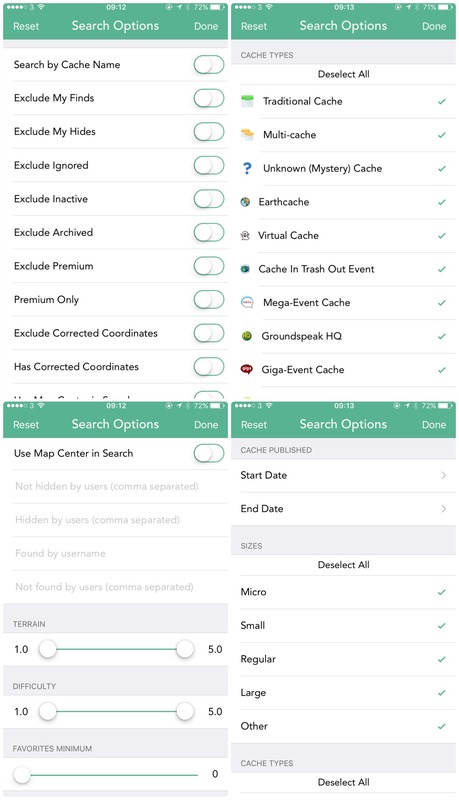 Cachly offers many more options for routing to a cache over the official app. I exclusively use Waze and that’s fully supported by Cachly and not supported by the official app. Same for TomTom and many others. The message center is “closed” functionality and not open to any 3rd party app, so though it’s a “feature” you can compare, it’s not an option for anyone else to have. It’s the only reason I have the official app loaded so I can get the message alerts or help someone with a question. Otherwise there’s no reason to have the official app loaded on an iPhone if you run Cachly. Also … the Geocaching app does not show attributes, which is a big problem when looking for snow-friendly and/or dog-friendly caches, both of which are important to us. One thing you didn’t mention is that Cachly has the option to show the 528 foot radius for the caches. I like hiding caches in a city that is pretty concentrated already so this is helpful for me. Totally agree here. That feature is a must have when placing new caches. I keep it turned on almost constantly as it prompts me to identify possible new hide areas. Can we get a Cachly vs Looking4Cache comparison? I’ve used L4C for three years now and while I’ve tried Cachly a few times, L4C still seems (in my mind) to be better. I use the Saved List function in the classic app which is to be canceled. While the new app shows Lists it does not include those I have in the app to be canceled. Also I enter Personal Notes for most caches I seek if found or dnf. I cannot find those Personal Notes in the new app. Please advise what items are not being carried over from the old to the new Groundspeak apps. Hi Edwin, I don’t actually have any insider information on the app. However, it appears that for now at least the new app doesn’t have a personal note field. Perhaps this is something they will add going forward. Edwin the saved lists on the old classic app are only stored on your phone. That old app doesn’t send that data to the website and has no way of exporting the data. This means that there is no way for Cachly, or anything else for that matter, to access those lists. Thus you will need to manually re-create those lists on a new app regardless of what new app you use. Personal notes stored on the website show up under Cache Notes in a cache in Cachly. The are synchronised with the website so you can update them in the website and they update in Cachly or you can update in Cachly and they will update on the website. You can save personal notes in Cachly – these are saved so you can also view them on the web. It’s amazing that Groundspeak is either unable, or unwilling, to provide the features that are provided by third party developers. I’ve since moved from the classic app to Cachly, but I feel like I should have done it a while ago! I think that’s a popular opinion! A couple of things I like in Cachly are the ease of logging favorites and TB’s. Seems like when I switch back to geocaching, I have to hunt for the favorite and give up. Those are minor things I guess but still seem worth mentioning. Thanks for the article. Do uuu mean how many favourites a cache has or adding a favourite to a cache? I think both these things have actually recently improved in the GC app. However it seems to be the general consensus that Cachly is more user friendly 🙂 thanks for your comment! Great post, will definitely give Cachly a try. There is a new Cachly User Group setup on Facebook at https://www.facebook.com/groups/CachlyUserGroup that can answer all your Cachly questions. Thank you this is a great comparison. 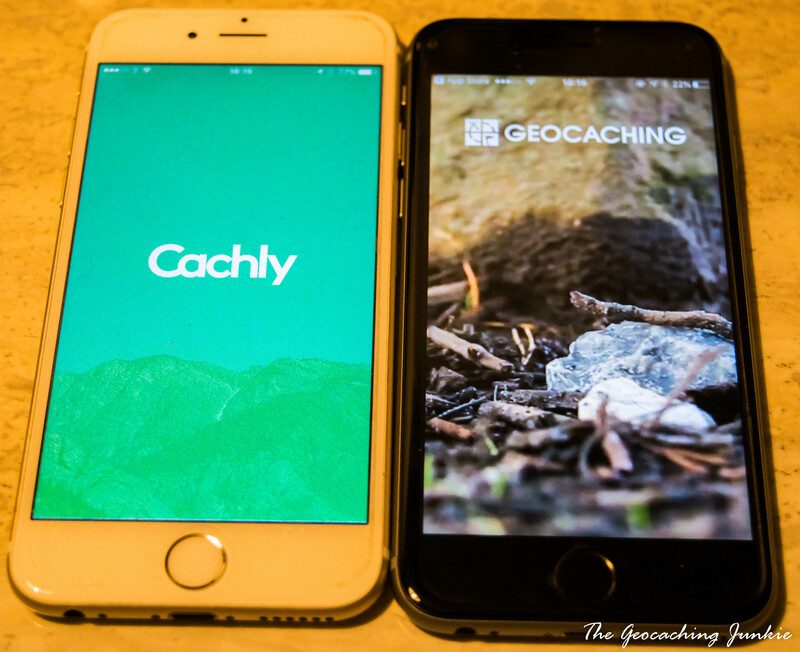 I usually use a GPS but use a phone for occasional caching and looking up info at home and have found cachly very easy to use and as good as the discontinued classic app. I have noticed a few additional features not mentioned in the article which are also very handy in the cachly app. 1. Corrected coordinates- cachly shows any caches that have been corrected via the pencil icon on the website in the actual position on the map. They can also be corrected via the app and saved. This is not available on Geocaching app. 3. Distance can be set to metric or imperial on cachly but Geocaching is set to default with no option to change. 4. User notes entered on the website can be viewed, edited or added on cachly. Not available on Geocaching. 5. Zoomed map view – on cachly individual icon will be seen but Geocaching bunches them together in a numbered circle and they can only be viewed when zooming in. 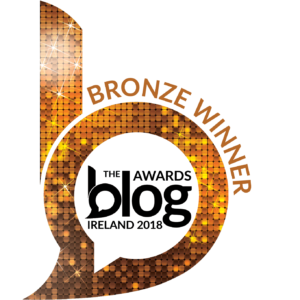 Must say thanks for this. I have now bought cachly and L4C in advance of the app retiring but was offered a “free” cachly possibly over a year ago, yet on first look was so disappointed I deleted and declined to retry. However as you have highlighted they have clearly made huge improvements to it. Still only glancing prior to this and unsure still which to make my next #1 you have highlighted things I will love yet had no idea of namely the 160m circles. Brilliant. I look forward to your Cachly vs L4C. Thanks Murray! I am glad it has proved useful, Cachly vs L4C comparison coming in the next week or so! 🙂 that sounds like a pipe dream to me! Seriously though, the one off payment will be well worth it in the end. Cachly is great now, but it only continues to get better and better! I think what ‘Jules’ meant to say was, Groundspeak should purchase the Cachly app for him, in lieu of a refund for the paid Classic app. At least that’s how I interpreted it. That’s how I read it too! Whoa! 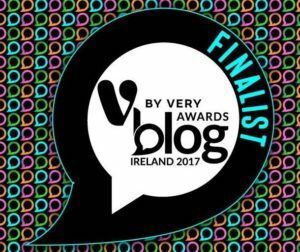 This is great and thorough! I went with Cachly and I’m pretty happy about it. Worth the money IMO. Thank you for the in-depth review; very helpful since Cachly doesn’t have a “lite” version to try. GeoBucket, another Live API partner app, is my main iOS app, which may have a steeper learning curve but looks like it still does a few more things than Cachly, like filtering cache list/map based on attributes, and has a crazy amount of information density on the map. Choice is good! When the review was posted, the Groundspeak version did not support NM & NA. That version was released after the review was posted. I’ve tried Cachly as I have been using the classic app for 3 years. I do find the offline maps a bit hit and miss, they seem to take a while to appear even when saved offline. Am I doing something wrong ? Depends on how old your phone is for a modern phone it doesn’t take long at all for old 4s & 5 it can be quite slow. Improvements are being coded to speed this up a lot in v2.1. The classic app which I’ve been using for almost 5 years is being replaced by a diminished version (in my opinion), so I’ve been searching for a replacement. Since Cachly addresses several of what I considered to be shortcomings in the classic app while retaining desired features I would be losing in the new Geocaching App, the choice is clear: I’m getting Cachly! 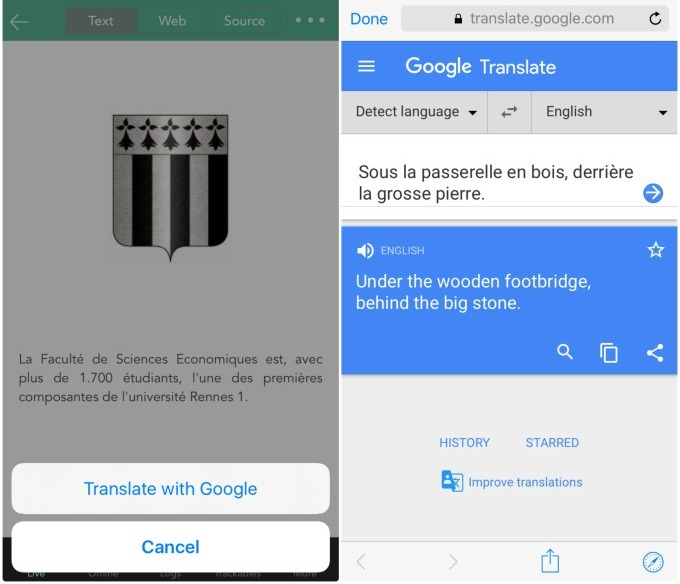 When I geocached in France, I really enjoyed Cachly’s well-integrated translation features! 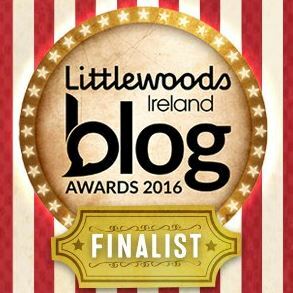 Thank you very much for a great review. I’m one of the many disappointed users of the new Groundspeak app that relied on the “classic” app for years. This comparison made it clear: 5 euros for Cachly is a real bargain.